Name Capt. James Buckles, Sr.
Born in Berkeley Co, VA, James came to the area with his father, which James later laid out as Bucklestown (during the early years, called Buckles Town & James Town), in 1791 changed to Darkesville. Aug 15, 1766 - James acquired 147 acres from Lord Fairfax. 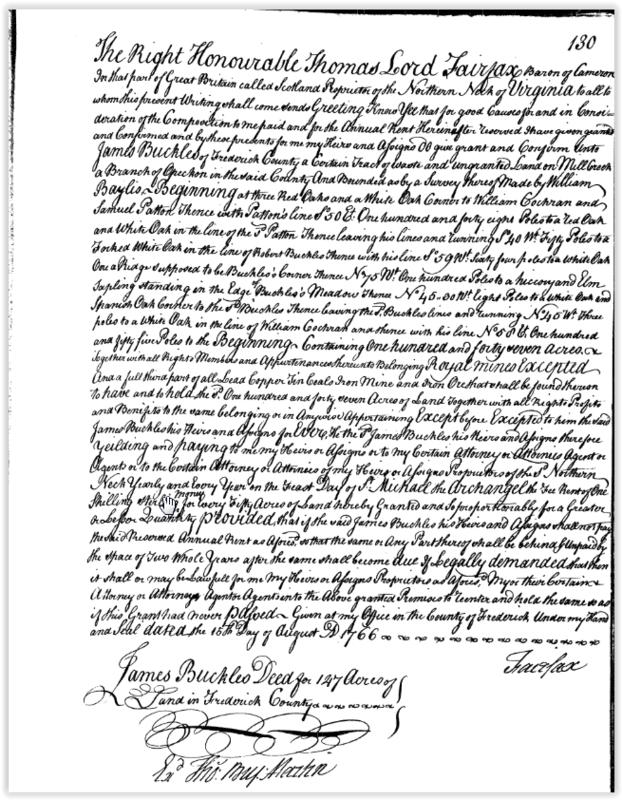 Mar 16, 1779 - James was appointed captain of a company of Militia in Berkely County, Virginia...Revolutionary War. 1752 - James laid out the town of Bucklestown which was later called Darkesville in 1791. 1793 - James and Sarah gave a lot to the town for the first school. 1795 - Sold their plantation of 489 acres to Ed Beeson.